Exemption of Pension up to Rs. 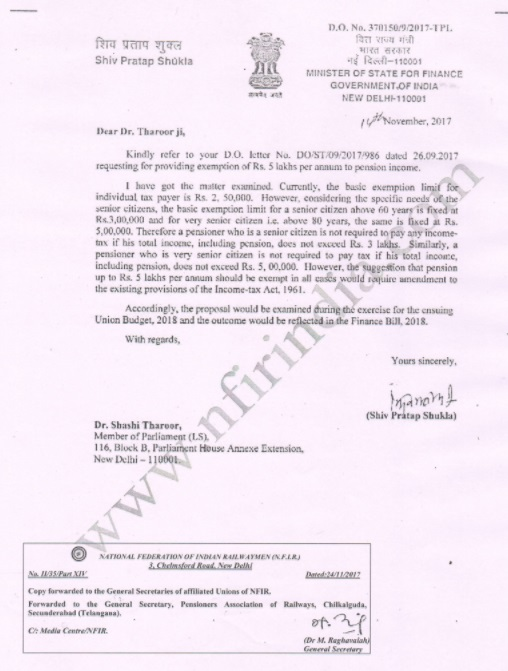 5 lakhs per annum from Income Tax: Proposal will be examined- MoS for Finance. pension up to Rs. 5 lakhs per annum should be exempt in all cases would require amendment to the existing provisions of the Income-tax Act, 1964.